Mission Statement: We are a non profit facility responsible for bringing health and well-being programs to the residents of New Ross and surrounding areas. Our goal is to make New Ross area a comfortable, well-serviced community with many of the amenities provided in larger areas. 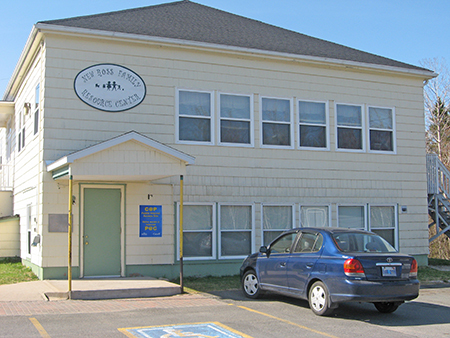 History: The New Ross Family Resource Center was established March of 1997, and is located in the “Old School” in the community of New Ross. We are a non-profit organization designed to promote the health and well being of families residing in the New Ross area. We have developed a wide range of community based programs and services, which acknowledge the needs of the people of New Ross, reducing the feeling of isolation and providing an atmosphere where all are welcome. We provide office space to the Municipality of Chester Recreation and Parks Department for a Community Coordinator, who serves our centre and the community by providing recreation programs and support for community organizations.